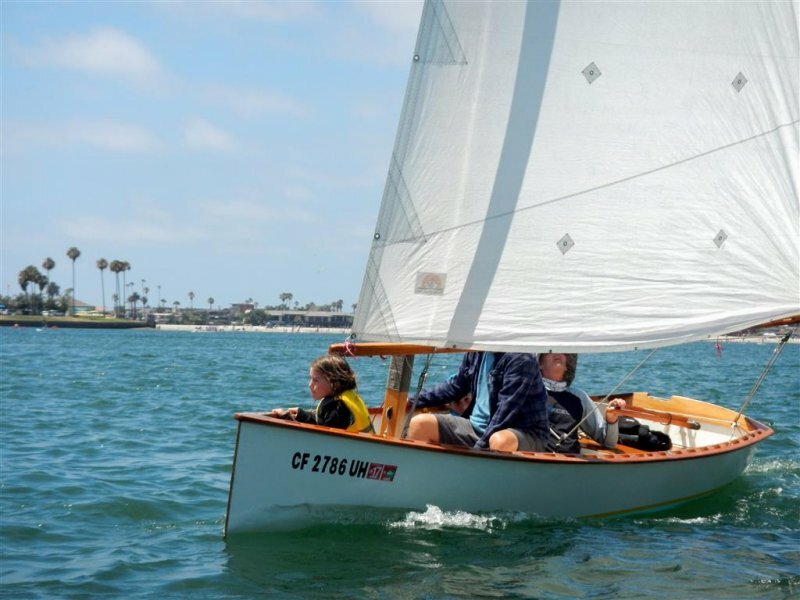 In events it has shown that light with low drag has competed to be more than equal to bigger and more complicated boats. 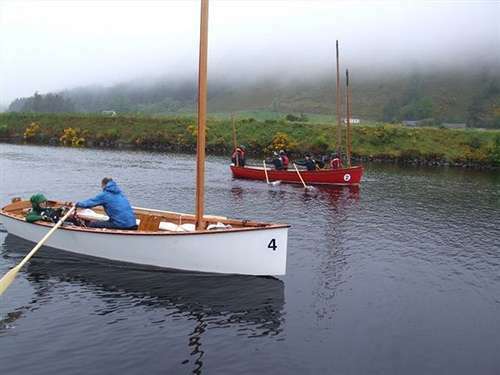 Even rowing head to head — it came third in every rowing leg of the Caledonia RAID against boats swinging two or more sets of oars. The hullweight of 130lbs makes the boat easy to move around and build. Some more hardy souls roofrack their Goats — after all, this near 16ft dinghy is lighter than the 14ft Laser racing dinghy. (When built of recommended materials or better). 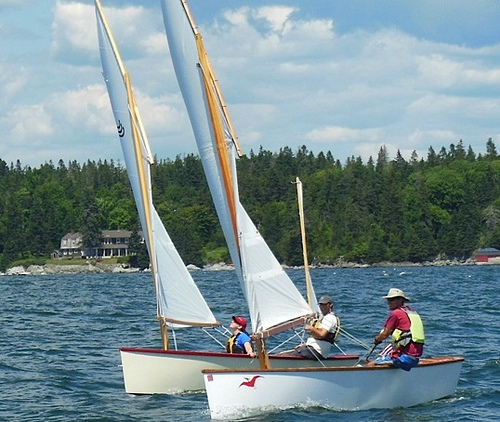 The GIS was designed as a two person sailboat, but by far the majority are sailed single handed but the boat still sails extremely well with four adults aboard. The stability increases to become more yachtlike with more weight aboard. Most Goats are built by first time builders — the boat is very simple with 10 pieces of ply making the hull. The parts are prefabricated flat and then quickly go together to create a strong and smooth hullshape. The boats have been used for very adventurous events and have proven to be extraordinarily reliable despite the light weight. Plans are available internationally and kits are available USA UK Europe Australia.